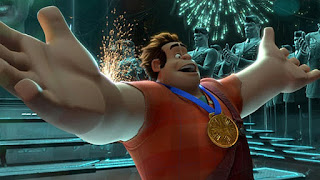 And because I promised, I am also sharing my 2nd Wreck-It Ralph recipe for Food n Flix today! Head back here for the announcement and here for my first recipe: Sugar Rush Jell-o Shots! 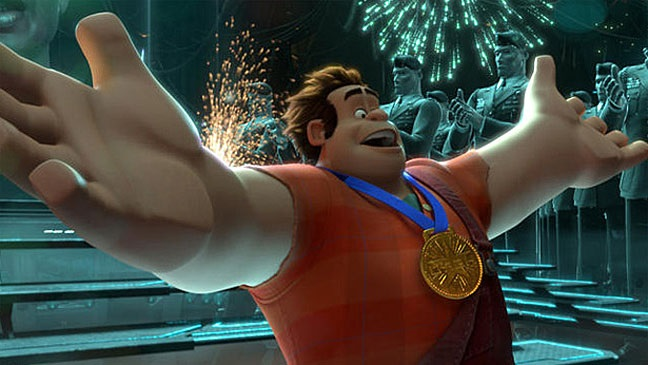 So how do football food and Wreck-It Ralph come together? When I was brainstorming recipes to bring to the Disney party I mentioned in the last post (go check out our costumes!) I really wanted to bring something that wasn’t a pile of sugar…tough to do when most of the food in the movie is candy. So, it was time to get creative. Dump got me thinking about trash and that eventually got me to Texas Trash. 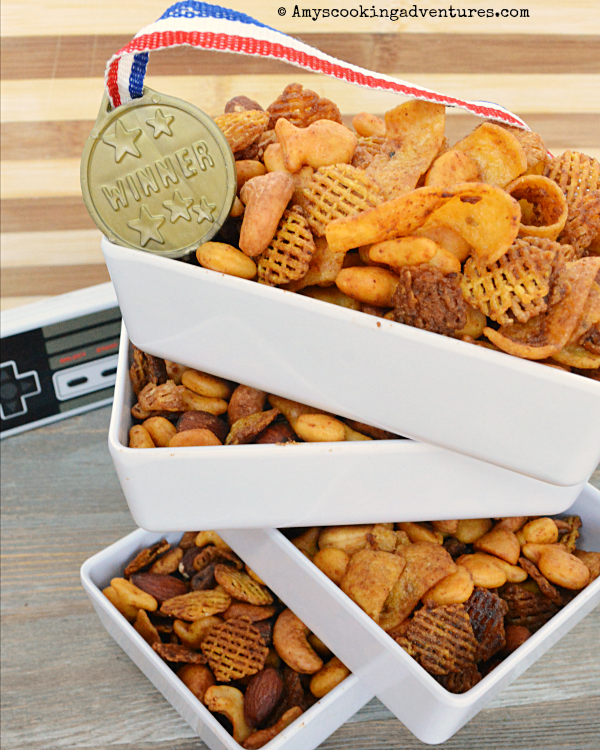 Which, incidentally is almost identical to my mom recipe for Chex Mix (and it’s super delicious and addicting) and perfect for the theme. Can’t you just see Ralph settling in to a pile of this mix? Plus, it’s perfect for any game day event (I sent this batch to Cub Scout Winter Camp with my boys last week!) Yum! Need more inspiration? Check out these amazing recipes! 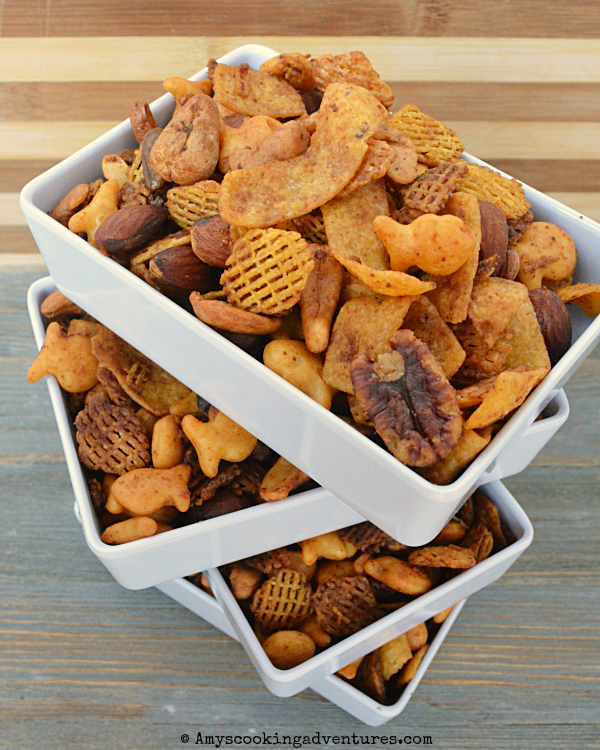 In a large bowl, stir together the crispix, goldfish, fritos, and nuts. In a small bowl, stir together the melted butter, lemon juice, Worcestershire, hot sauce, garlic powder, and seasoning salt. Pour the seasoning mixture over the cereal mixture and stir until well combined. Pour the mixture evenly onto 2 rimmed baking trays. Bake in the preheated oven for 1 hour, stirring every 15 minutes. Remove from the oven, then cool completely and store in airtight containers. 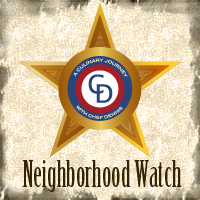 Preheat the oven to 275 degrees F.In a large bowl, stir together the crispix, goldfish, fritos, and nuts. In a small bowl, stir together the melted butter, lemon juice, Worcestershire, hot sauce, garlic powder, and seasoning salt.Pour the seasoning mixture over the cereal mixture and stir until well combined.Pour the mixture evenly onto 2 rimmed baking trays. Bake in the preheated oven for 1 hour, stirring every 15 minutes. Remove from the oven, then cool completely and store in airtight containers. 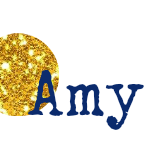 Great way to pull inspiration from the movie Amy and it is perfect for game day. Oh, this would be a huge hit with my family! The ending of that game was crazy! What a great game! Those kickers had nerves of steel. Great Super Bowl snack and I'm wondering over just in the nick of time. Thanks for hosting this round, Amy.